Just in time for NHL playoffs starting today, Hudson and I teamed up with Little Ice Tribe for some awesome hockey inspired tees and tops. Since Hudson is already hockey obsessed, how much more perfect could this line be for him (and me)? We are both in heaven. 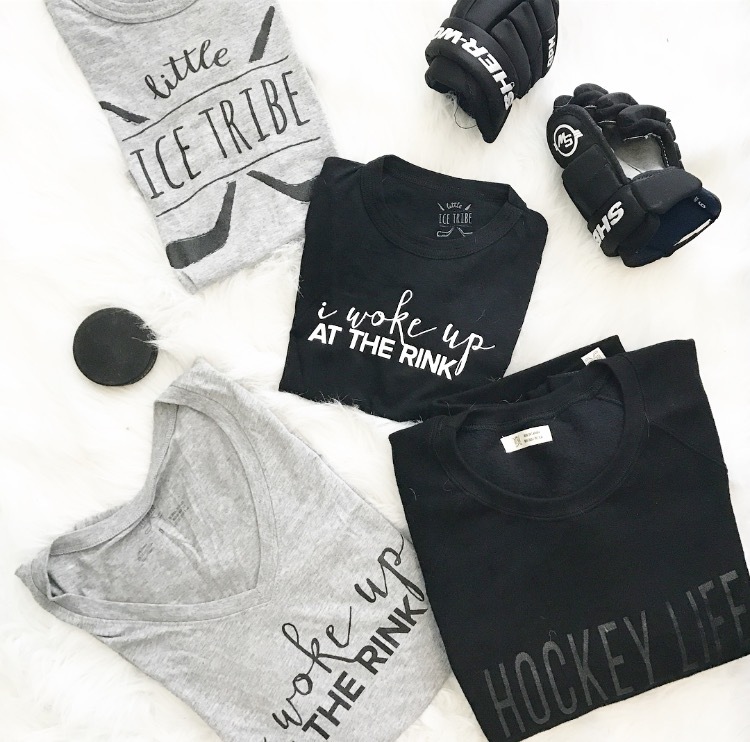 Little Ice Tribe is a Canadian based company, co-founded by two mamas who love hockey. 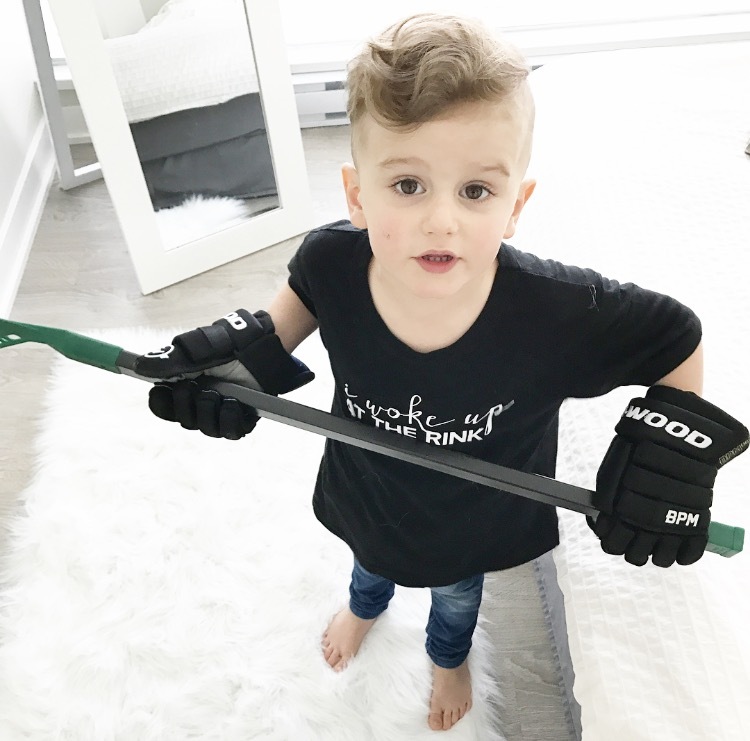 They are an eco-friendly, trendy hockey brand that was inspired by their little ones. 10% of all proceeds go to Right to Play, which is a global organization that promotes accessibility to sports. I'm not sure about you, but I've got my rink uniform now for cheering on Hudson next season. I could literally live in my tops from them; they are THE softest and best quality things I've tried on in years!!! Use discount code LIFEWITHSASS10 for 10% off your purchase.